Shower jellies are a lush invention that I just can’t get enough of! I love the concept behind them and I love using them. The lush shower jelly is a solid shower gel that resembles the consistency of jelly. This wobbly pot of jelly comes in a variety of scents and can also be used in a variety of ways. As I travel an awful lot with work I have found shower jellies to be super handy. The little pots are very easy to travel around and can be used as soap, shower gel, shampoo and bubble bath making them very versatile. 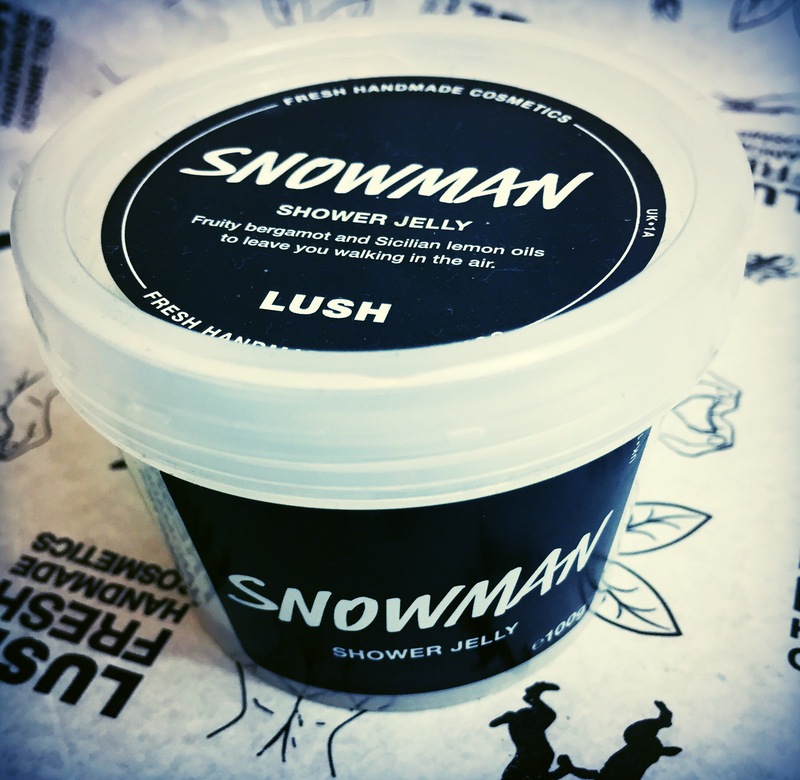 The Snowman shower jelly has to be my favourite jelly that I have tried so far. As part of seasonal ranges the Jellies are also often released in fun shapes that represent the season they have been released. 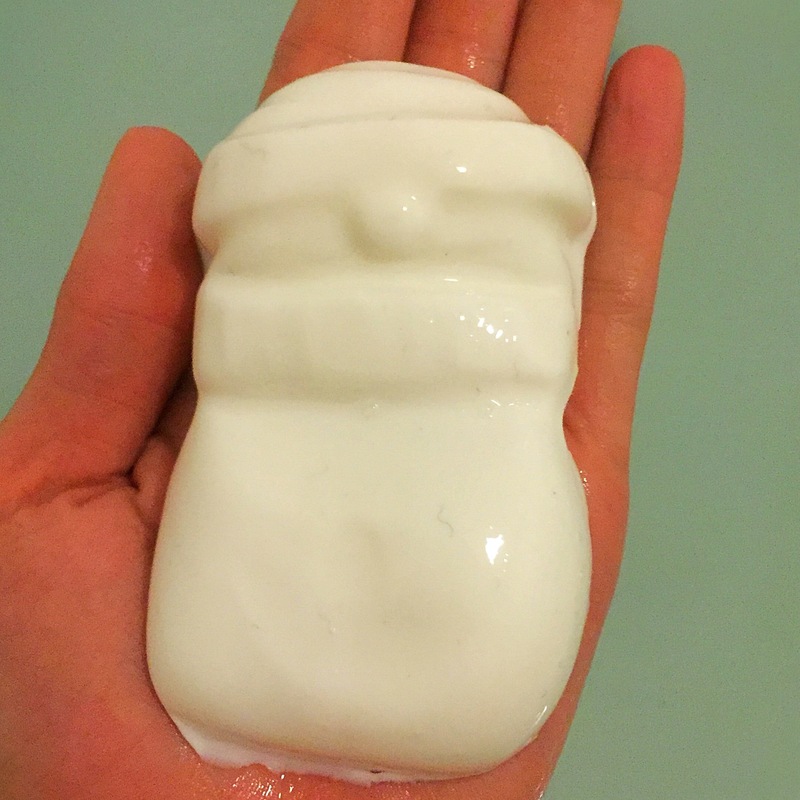 The Snowman jelly is a Christmas release and takes the form of a very cute white snowman which is the perfect addition to any Christmas range. The fun design of this jelly makes the product also perfect for children and of course all us young at heart adults. The reason that this jelly is my favourite has to be due to its scent. 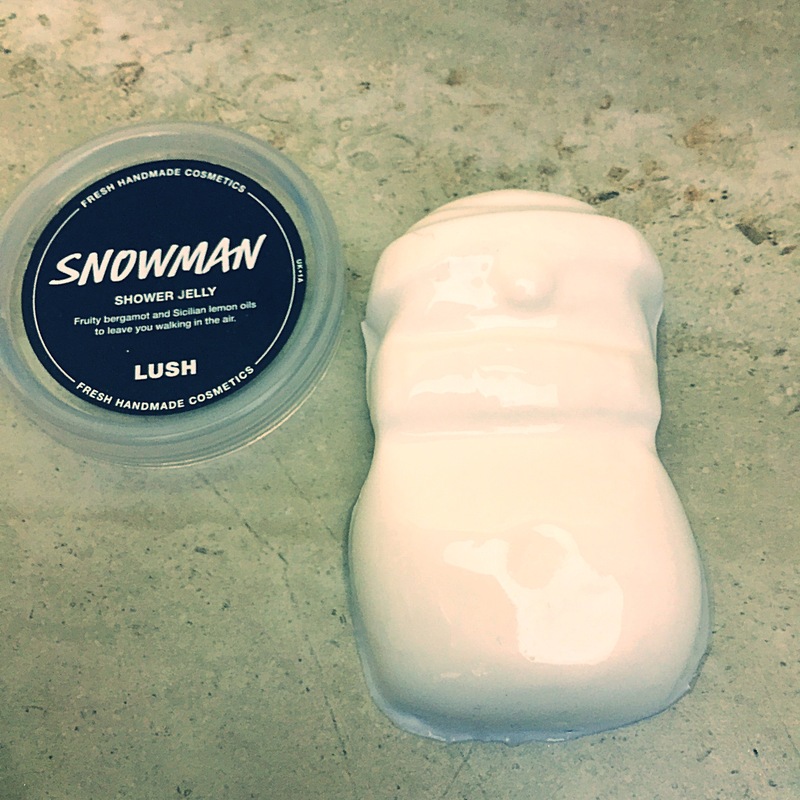 The snowman shower jelly shares it scent with the bunch of carrots bubble bar (Easter release) and the snowman FUN which is also a Christmas release. Containing Buchu oil, Sicilian lemon oil and bergamot oil this shower jelly has a sweet citrusy scent. The scent is very uplifting and refreshing and is perfect to get you going on those cold dark mornings when all you want to do is stay in bed. This shower jelly produces a lovely lather once mixed with water. I personally like to use the jelly in one large piece however the jelly can also be cut up into smaller chunks. I found this jelly stayed in tack really well after use and can see it lasting a long time. Overall I love this shower jelly and am keeping my fingers crossed it will make a re appearance this Christmas. I would also love to see lush produce more products with this scent as it really is a lovely uplifting scent. What is your favourite shower jelly? Ingredients – Glycerine, Carrot Infusion, Sodium Laureth Sulfate, Carrageenan Extract, Perfume, Buchu Oil, Sicilian Lemon Oil, Bergamot Oil, Titanium Dioxide, Lilial, Limonene. Its so cute definatly going to have to get one of these lovely review by the way!